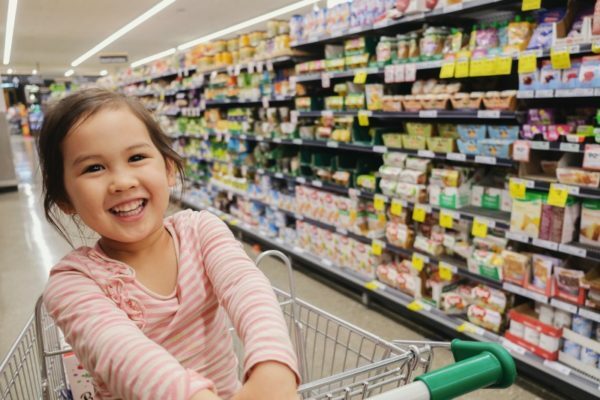 Australia has officially gone bloody berserk over the miniature collectable grocery items from Coles supermarkets. The question is, where do you stand on the matter? Personally, my little red hands are a little conflicted, and this is why. I pride myself on being environmentally conscious and do what I can to refuse, reduce, reuse and recycle. In fact, my main reason for visiting Coles is actually to deposit my soft plastics for recycling (of which we always seem to accumulate like mad despite being mindful of things with packaging). Now, the same big supermarket giant, who has recently banned plastic bags and supports the REDcycle scheme, is ironically also giving away plastic toys individually wrapped in plastic bags. 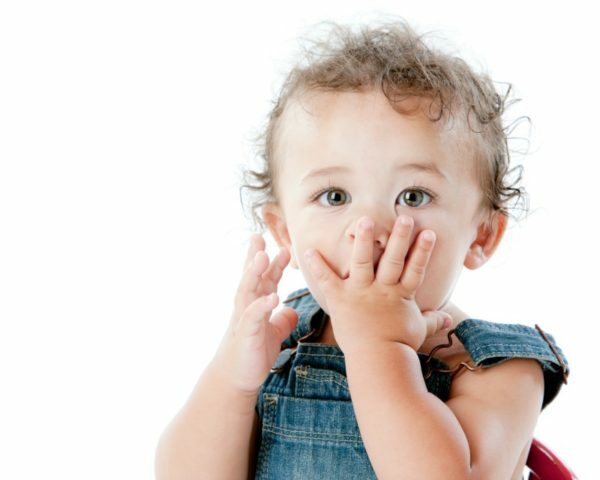 The toys are undoubtedly destined for landfill – despite a spokesperson for the chain recently denying this with claims they will be loved and shared by families for many years (instead of being tossed by kids who get bored of them after a few weeks). And then there’s the danger element. These itty bitty vegemite jars and puny packs of Tim Tams are just BEGGING to be put in young children’s mouths. They’re fake food after all! On top of being a real choking hazard for little ones, there’s also the concern that they might ingest nasty chemicals from the plastic used to create these little shop miniatures. I must admit, I look at these little groceries and my inner child squeals in delight. I used to have a little supermarket when I was growing up that I absolutely adored and my mum still has it for the grandkids to play with. And recently I got my toddler one too for his birthday which he loves. So when I was offered on my last Coles shop if I wanted one of the mini collectables I said yes. I frowned at the packaging but then smiled at my son’s delight at seeing the miniature box of Weet-Bix which he promptly put in his supermarket basket at home. What’s a mum to do? So now I’m torn. Get more of these darn things or join the growing movement of angry peeps out for blood from Coles executives? I know for sure, I won’t be going out of my way to get them. I shop at a lot of other places most of the time, and I’m certainly not buying the collector’s pack or accessories, or jumping on eBay to buy them for hundreds of dollars each (some woman clearly seeing the absurdness of it all has listed her pack of mini Finish for $120,000 – LOL). I’m not attending a ‘shop swap’ event full of desperate parents and kids keen to collect the whole set either, or joining a Facebook swap group. But will I refuse one if offered? Mmm … probably not. The thing is, supermarkets and other retailers and eateries (happy meals anyone?) know that children are obsessed with collecting things and will badger their parents like mad to do whatever’s needed to complete their set. I was one such child myself, being utterly wracked with desire for the rarest Garbage Gang cards I could get my grubby mitts on. I didn’t even like the chewing gum they came with. I just wanted those darn cards. But unfortunately collecting is now at a whole new level, no longer is it just reserved for toys or edible treats, the big supermarkets are leading the charge with whatever their latest gimmick is like Little Shop because quite frankly, it’s big business. And speaking of cashing in, the three rarest Coles miniatures are Oak Chocolate Milk, Kiwi polish and Mount Franklin water – so if you’ve got one of those then break out the champagne because if this mini madness carries on any longer, you’ll be quietly sitting on a gold mine. 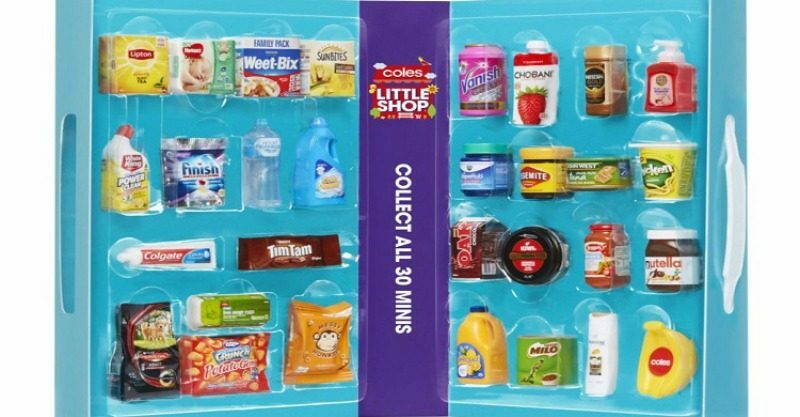 Are you collecting the Coles Mini Shop collectables or think they’re a bad idea? Let us know what you think on our Facebook page!